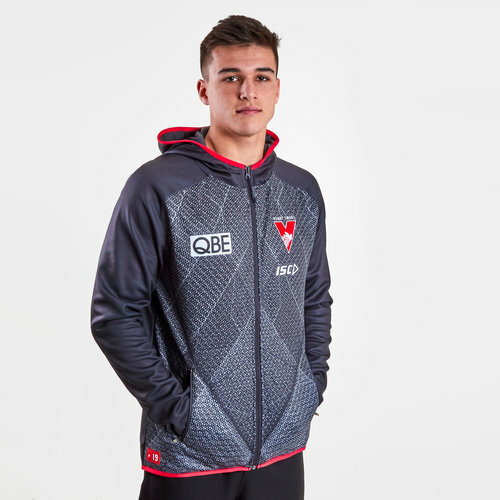 Show your pride in the Blood Stained Angels when you pull on this Sydney Swans 2019 AFL Players Hooded Sweat from ISC. This zip-up hoodie has been crafted from brushed fleece. It has been cut in a contemporary design with simplistic styling throughout. It is grey with red and white detailing. The ISC logo is on the left side of the chest just underneath the team badge.